It can be clever, and the intersection of several fairy tales is occasionaly ingenious. But there are no standout numbers (indeed, the movie appears to have cut the best song), and a musical rises or falls on its music. 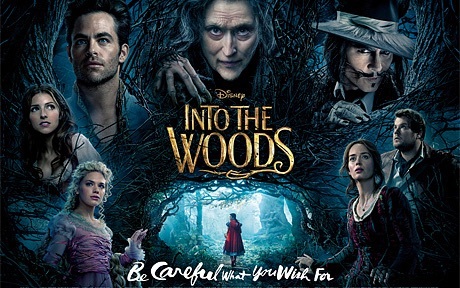 The “Into the Woods” riff that snakes through the movie becomes tiresome, there are too few interesting exchanges between the characters, there is an entirely unnecessary and intrusive narration and the entire thing feels small. It’s also not very funny, and from what I can see from the stage play, it’s supposed to be. Though he’s been off his game of late, this project would have been better in the hands of Tim Burton.